A rare all-Brisbane affair in both the seniors and reserves should make for a healthy crowd for QAFL Velocity Sports Cup grand final day on Sunday. Cinderella club Redland have their reserves side in the curtain-raiser grand final against regular heavyweights Morningside. Both have a number of impressive young players in their ranks. 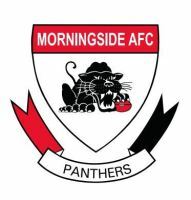 The senior grand final between Morningside and Mt Gravatt starts at 2.15pm at Birubi Street, Coorparoo. There is some parking inside the ground, but Coorparoo Secondary College next door has ample parking. The entry price into Giffin Park for the grand final is $10 an adult, $5 concession and children under 15 are free. Food and drink stalls will be stationed at both ends of the ground.